The true power of social media: Oscars break twitter record! We all know that the Oscars are the main awards for the TV and film industry but last night it also made social media history. The power of social media is exceptional, the potential audience you can target is mind blowing. At the Oscars last night there was many famous people in the same room and a piece of social media brilliance by Ellen Degeneres sent twitter into chaos! As you can see there are many of the worlds biggest stars in one photo. But just look at the amount of retweets it gained. There was that much of a buzz about the tweet, that it caused Twitter to briefly crash! 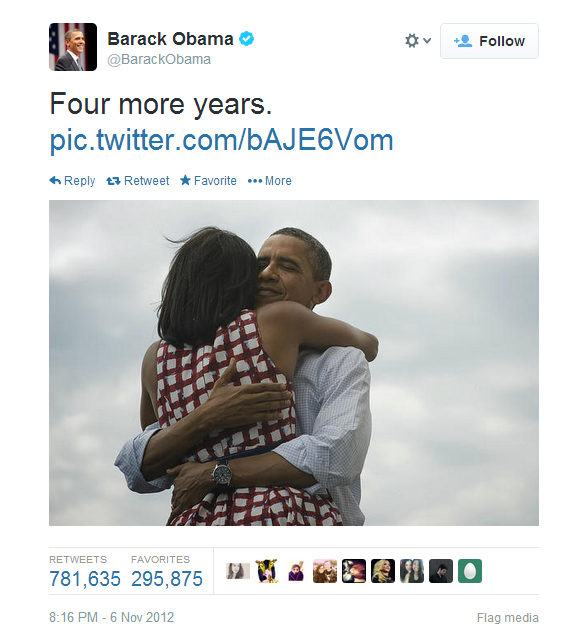 This tweet was put just after Obama had been re-elected in 2012 and generated 781,635 retweets and 295,875 favourites. This just goes to show the true power of social media for that many people to be talking about the same subject it is rather remarkable. 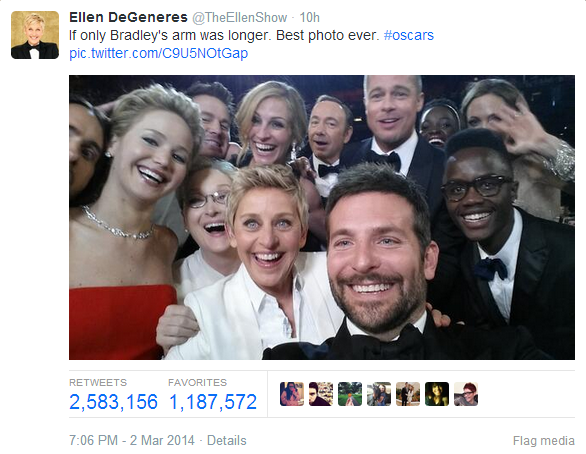 The speed that it happens also, approximately 779,000 retweeted Ellen’s selfie tweet in just half an hour. It reached the million landmark within an hour and history was made by everyone involved! Social media is an extremely under used tool to share content and images in this instance, there are so many users for you to share with and great opportunities for you to go viral. So try it out implement more social media in your campaigns, interact with your audience and deliver the answers or services they want!